Instructions on how to get to each property from the rental office would be helpful. 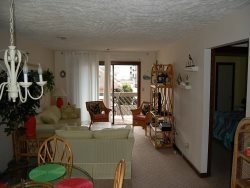 Overall, it was a nice, comfortable and affordable property. Our family enjoyed our stay.